According to the person who shared the unusual pic on social media, the father said he's training his son to be so vast about engines and the likes, to the extent that he would be working on Aeroplane when he grows up. 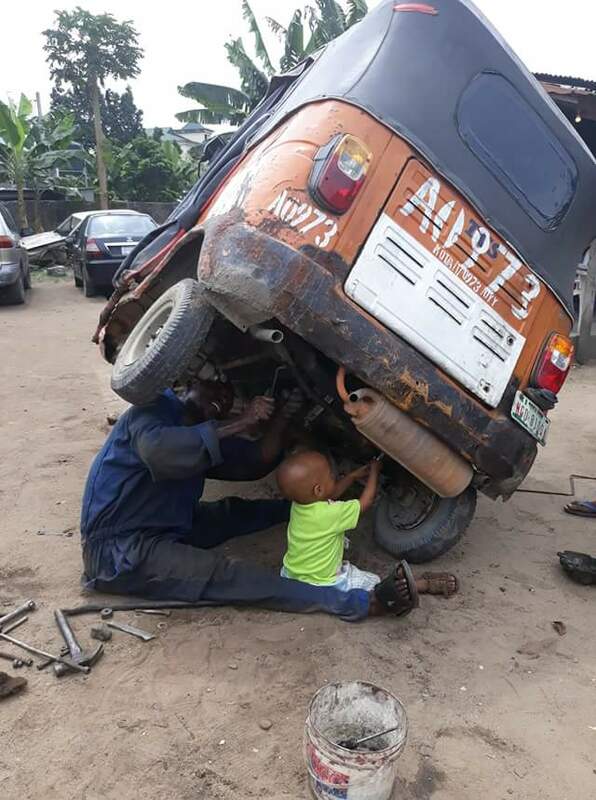 Everyday after Nursery school, the boy resumes at his father's workshop and he already knows all the mechanic spanners and their numbers... But he's too little, too small for all these.